Time for some tea merry-goers! How's life been treating you? Feeling stressful lately? Well, sometimes it is best to take some time off to unwind and relax and what better place to do that than to have a nice afternoon tea session with the girls! Thanks to Lipton Tea, I was finally able to visit Carcosa Seri Negara one of the places recommended for high tea or an afternoon tea session mainly because of the architecture of the building as well as the food. Lipton launched their latest addition which is the Lipton Teh Tarik claiming now you do not need to go out to the mamak to satisfy your craving for teh tarik when you can now enjoy it at home! Not only were we invited for a nice tea session and the unveiling of the Lipton Teh Tarik but we were also indulged with a nice soothing hand massage. Just perfect to remove all the tension after a long day. The delicious finger food filled us up and all of them tasted so good! Now I get why people love coming to Carcosa Seri Negara for their tea session. Not only the place looks amazing but the food is equally delicious. Our 'host' for the day was no other than Razif who played the role as the host rather well. It was hilarious how he welcome us into his 'home'. Of course the stand-up comedian that entertained us was really funny as well. He was paid with a cup of Lipton Teh Tarik which he gladly enjoyed. Besides that, there was also a Tea Expert who introduced us to the concept behind Lipton Teh Tarik and why it was invented. No more hassle to look for a mamak stall when you can now enjoy your cup of teh tarik in the comfort of your own home. The new Lipton 3-in-1 Milk Tea comes with an improve formula which is creamier and frothier than before! It can be served hot, iced or chilled. For the Lipton-3-in-1 Classic Milk Tea, it contains more tea powder for a distinctive tea latte while there are also the new flavours which are the Hazelnut Milk Tea which has hazelnut that gives a nutty and aromatic experience plus the Ginger Milk Tea with real ginger powder! With the new Lipton 3-in-1 Milk Tea, everyone can master the art of Teh Tarik instantly and enjoy a good cup of rich, creamy milk tea. At the launch was also the super friendly Malaysian celebrities Debbie Goh and Jojo Struys who enjoys their cup of Teh Tarik during their free time. With their busy schedule it is so convenient to have the Lipton 3-in-1 Teh Tarik when they are on the go. 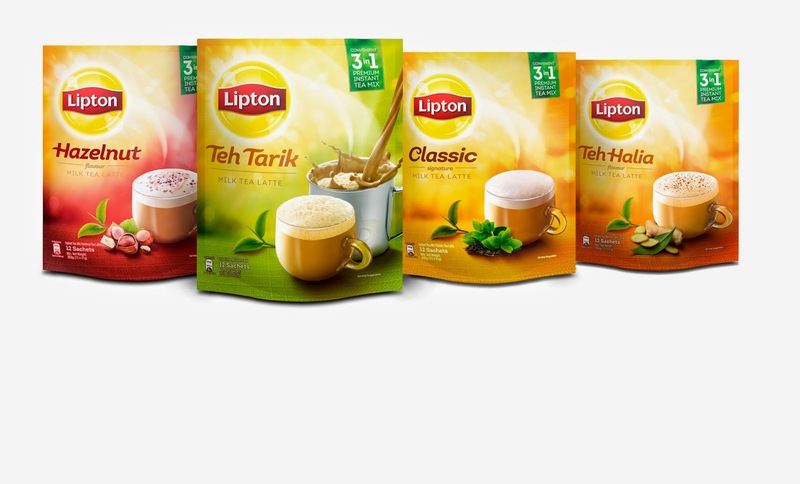 Enjoy your cup of Lipton 3-in-1 Teh Tarik which are sold in convenient packs of 12 sachets priced at RM 13.90 and are available at all hypermarkets, supermarkets as well as retail outlets nationwide. Average, you'll only spend roughly RM 1.15 per cup which is so much cheaper than the ones you get outside no thanks to GST!